The Safe Drinking Water Act published by The United States Environmental Protection Agency (EPA) defines the term of water contaminants as any kind of physical, chemical, biological or radiological substance existing in water. Drinking water can be subject to contamination at many levels, as contamination can occur anywhere, starting from the actual source water all the way through the whole distribution system. Basically, any other particles found in water different from water molecules are defined as contaminants. Some of these contaminants can be harmless, others extremely harmful, especially if ingested at certain levels. Since not all contaminants cause serious health problems or are considered a health risk, the existence of contaminants does not immediately equal illnesses. Regular and professional water treatment is required in order to fight these contaminants in sources of drinking water or any other segments of the water system. 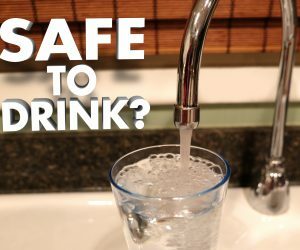 It is also essential to prevent disease-causing contaminants from getting into your drinking water. And while this responsibility lies with the water provider, you too can do things to prevent water contamination in your home. Physical: these contaminants such as sediments or organic materials impact the physical appearance of water. Chemical: nitrogen, bleach, salts, metals, pesticides, toxins produced by bacteria can change the chemical compounds and elements of your drinking water. Biological: these are organisms in water such as bacteria, viruses and parasites are also referred to as microbes or microbiological contaminants. Radiological: these are chemical elements with an unbalanced number of protons and neutrons resulting ionizing radiation in water; examples include uranium, caesium and plutonium. How Can These Contaminants Affect Your Health? As we’ve already mentioned, contaminants can be either harmful or harmless for your health. Immediate effect after exposure: some of the contaminants may affect your health immediately after exposure such as viruses or bacteria do. Long-term effect after exposure: contaminants such as chlorine or fluoride affect your health after long-term exposure or if consumed at certain levels. Tap water can contain both types of health-related contaminants and these contaminants can cause short or long-term effect on your health, so it is extremely important to find, define and remove the harmful pollutants from your drinking water. Gastrointestinal health issues: the most common problems water contaminants can lead to are gastrointestinal health problems such as diarrhoea, stomach cramps, vomiting or other more serious illnesses such as hepatitis A or Salmonella. Allergies: in many cases the quality of your drinking water is to blame for your allergies as your water can contain harmful chemicals disrupting the hormones and the balance of your immune system. Asthma attacks: if asthma symptoms are triggered by your tap water, you should check the levels of fluoride or chlorine in your water; these symptoms may be a negative reaction to the above-mentioned chemicals used in sanitising your drinking water. Skin irritation: Skin irritation caused by harsh chemicals in your water can be related to chlorine or disinfectant by-products that exist in your water; depending how sensitive your skin is, irritations can vary from mild irritations to eczema or serious allergies. Cancer: Water contamination is associated with such health problem risks as cancer as well; examples include arsenic substances, fertilizer by-products as nitrate or different compounds formed in water disinfection can lead to such serious illnesses. Among several contaminants existing in water, let’s see the most common disease-causing contaminants with frequent occurrence in drinking water. Giardia is a microscopic parasite usually found in water contaminated with faces from infected humans or animals. This parasite in your drinking water causes diarrhoeal illness or giardiasis. It can be transmitted in different ways, but the most common way to spread this parasite is by water. Legionella can cause Legionnaires’ disease, which is a serious type of lung infection. Legionella can also cause Pontiac fever, which is a milder illness. Legionella bacteria can be transmitted by breathing in mist or accidently swallowing contaminated water into the lungs. Although, most people won’t get sick from this, for older people, former/current smokers or for people with weakened immune system or chronic diseases, this bacteria can be life-threatening. This virus is considered very contagious since it can be spread easily by having direct contact with an infected person, consuming contaminated water or food and by simply touching contaminated surfaces, then putting unwashed hands into your mouth. Norovirus symptoms are vomiting and diarrhoea. Shigellosis is an infectious disease caused by the bacteria named Shigella. Symptoms include diarrhoea, fever, and stomach pain. It has a long-term effect after exposure, it usually develops and resolves in 5 to 7 days. In this case as well, people with weakened immune system usually face an increased risk and a longer sickness period. Infections caused by Campylobacter occur when eating raw, undercooked or unwashed poultry. Drinking contaminated water or eating food with previous contact with contaminated water can also cause infections. In some cases, medical treatment is necessary. This metal occurs naturally in the environment and it is essential for maintaining health. It can be found in rocks, soil, air, water, plants and animals. Although low levels of this metal are useful, high levels of copper can lead to harmful effects or even death. The symptoms of copper contamination include irritation of mouth, eyes and nose, vomiting, diarrhoea, stomach pains, nausea or as we have already mentioned, death. According to the Center for Disease Control and Prevention (CDC), 1.2 million illnesses are caused by Salmonella across the United States every year. As many as 1 million cases of Salmonella are caused by eating contaminated food. People infected with Salmonella have diarrhoea, fever, abdominal cramps. The infection lasts about 6 days and for most people it resolves without any treatment. In some cases, medical help or hospitalization is required. Hepatitis A virus (HAV) is a communicable disease of the liver. It can be spread by consuming contaminated water or food or through faecal-oral route person-to-person. It can cause fatigue, low appetite, stomach cramps, nausea, jaundice. The illness can last up to two months. In order to prevent hepatitis A infection, the best way is to get vaccinated. This microscopic parasite causes the diarrheal disease called cryptosporidiosis. Some species of so-called “Crypto” infect not just animals, but humans as well. The specialty of this parasite is its outer shell that protects the parasite from the outside world, helping it survive outside the body and makes it tolerant to chlorine disinfection. Cryptosporidium can be transmitted by drinking water and recreational water and can lead to waterborne disease among humans. E. coli (Escherichia coli) are a group of bacteria easy to find in food, water and intestines of animals and people. In most cases, E. coli is usually harmless for your health, but sometimes it can make you sick as it can cause severe diarrhoea, urinary tract infections, respiratory illnesses, pneumonia or other illnesses. How Can You Remove These Contaminants From Your Water? Municipal water treatment is the first line of defence against most of these contaminants. A second line of defence is at-home water filtration. 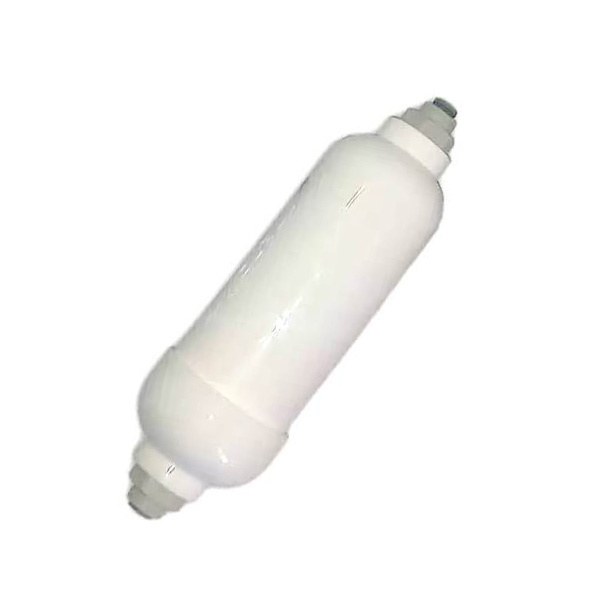 You can choose from a wide range of professional water filters, so you can easily find the perfect one for your water contamination problem. 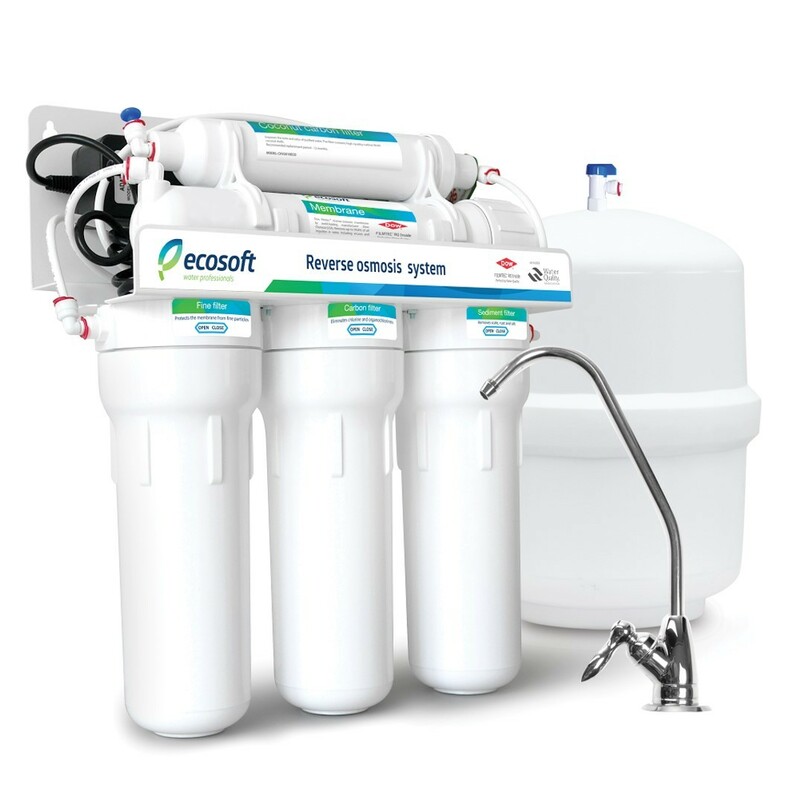 You can choose from whole-house filter systems and point-of-use water filtration systems such as reverse osmosis systems or UV water filters. 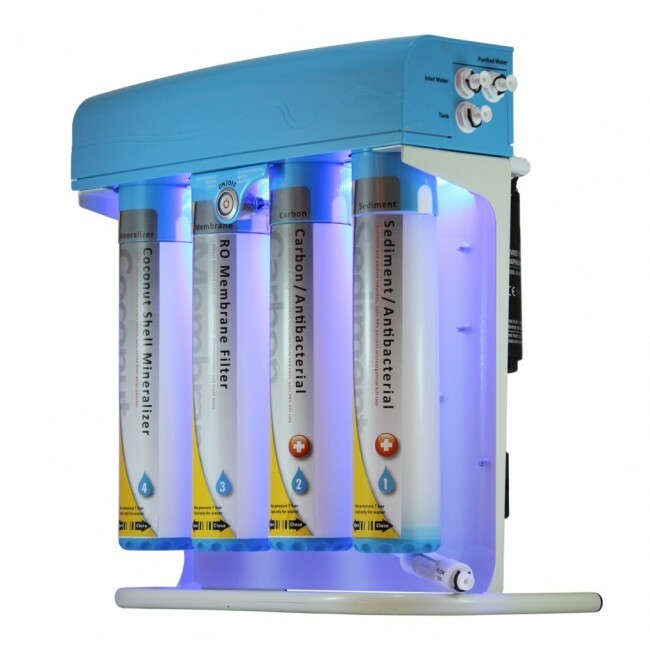 These filters can reduce and removing chlorine, sediments, fluoride, chemicals, metals, microorganisms or any harmful particles existing on a high level in your drinking water. The most important thing when facing contaminants in your drinking water is to understand the problem and the harm your health may be subject to. Notify your water provider if you suspect water contamination in your home and follow any water notices issued by your water company to the letter. The best way to avoid endangering your health is to address contamination issues. Make sure your drinking water is perfectly pure and safe to consume and protect your health with the constant use of a professional water filter system.